We've noticed distinct heat build-up left of the touchpad, above the discreet graphics chip, which you can feel on your palms. 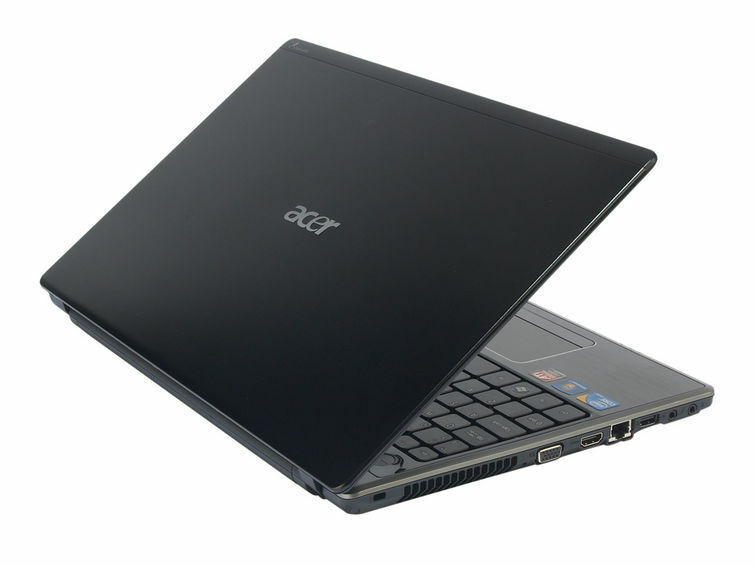 Acer has made additional ventilation holes on the front and bottom sides, which conduct some of the heat away. The battery lasts for almost seven and a half hours on Intel graphics, while gaming on Radeon will provide you with no more than just over an hour and a half. Making friends with Acer reminds us of using an advanced multifunctional device - it is high-quality and has everything that you need, but it doesn't shine in any particular field. 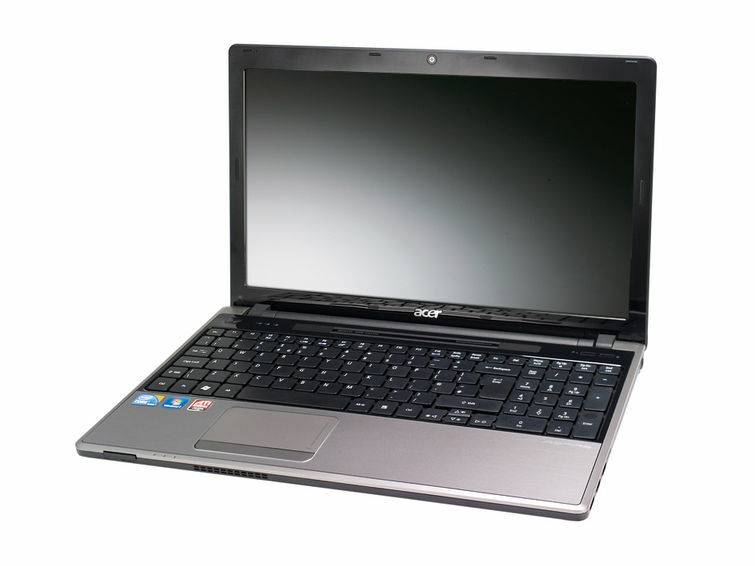 Of course you can buy a better gaming machine, a business computer or a notebook with extreme autonomy, but if you need all this under one hood, the elegant Aspire Timeline X 5820TG is an excellent choice and gives a perfect reply to the question of which general-use notebook one should take. The Acer Aspire TimelineX 5820T-5951 doesn't really have any one spec that makes it stand out in a very crowded class of thin wide-screen do-it-all notebooks. It does have above average battery life and a very good screen. The touchpad is decent and for a Core i3 system it is someone powerful while still running cool and quiet. The options for viewing multimedia content like DVDs or streaming video are pretty good. But the weak speakers and sub par keyboard are disappointments. If you don't plan to do a lot of typing and like to wear headphones for audio, this is a great option even if it is a little expensive. Otherwise there are better choices out there for the money. The Acer TimelineX AS5820T-5951 is a metal-clad PC that delivered over 7 hours of battery life, and runs a standard volt processor, not bad for a $700 laptop. What keeps the TimelineX 5820T from a recommendation, though, is the price: if you're spending this much, the Dell Studio 15 starts to look more tempting. But this remains a strong debut for the TimelineX series. It's fast, battery life remains strong, and it has far more strengths than it has weaknesses. The 15.6in Acer TimelineX 5820T delivers an unusual combination of lightning real-world performance and very good battery life, all contained in a well-made slim chassis. If you can find it, the version with ATI 5750 graphics card has incredible gaming performance, while the integrated Intel graphics alone makes the TimelineX fit for some leaner gaming. Thanks to those switchable graphics, the 5820T performs well as a light, portable, power-saving device and also does a decent job of turning its hand to more intensive computing tasks. Unfortunately, this impressive range of tricks isn't reflected in the design -- no media keys, a rather dim screen and a frustrating trackpad mean that even if the 5820T is capable of some impressive computing feats, you might not enjoy actually using it. 77.25%: Esta evaluación no es convincente. Debe ser considerado que difícilmente existen portátiles que reciben una evaluación abajo de 60%. Esta portátil es evaluada abajo del promedio, esta realmente no es una recomendación para la compra.